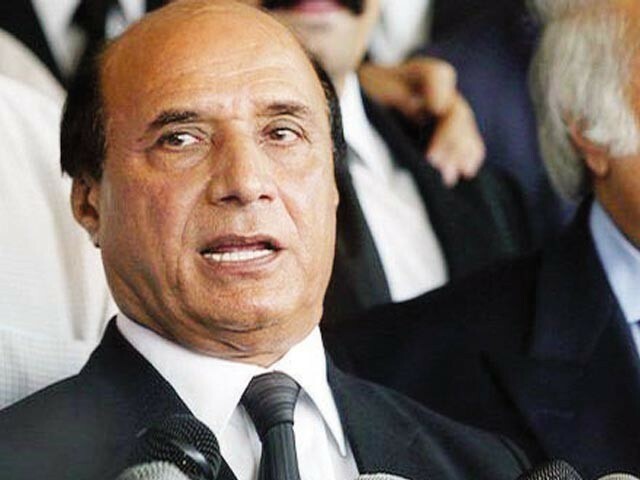 ISLAMABAD: Pakistan People’s Party (PPP) leader Latif Khosa said Wednesday that Nawaz Sharif has ruined the country. Commenting on the Faizabad sit-in, Latif said that the people who were sitting in the dharna were government sponsored. “This conspiracy was hatched so that cases running in the court could not proceed further,” he added. Those who deleted clauses from the Khatm-e-Nabuwwat (finality of prophethood) oath were government men, he alleged, adding that the entire episode was a pre-planned government drama. He also pledged to take the cases against the Sharif family to its logical end. Latif further said that the ongoing conspiracy was masterminded by the government and it should now face its consequences. Government cannot escape this matter by terming the change in oath a clerical mistake, he added. He also said that former interior minister Chaudhry Nisar and incumbent Interior Minister Ahsan Iqbal were calling each other incompetent, which was creating a negative impression about Pakistan in the world.